Man is a tropical animal who has adapted over thousands of years to be comfortable without clothing at 27 °C (80 °F). At this temperature, the body works optimally and maintains a steady internal temperature of 37 °C (98.6 °F). In the Pacific North-West it doesn't hit the 27 °C mark as much as we'd like in the summer, let alone the rest of the year. Woolpower is dedicated to keep man warm using modern technology and research in combination with one of our favourite natural fibres. 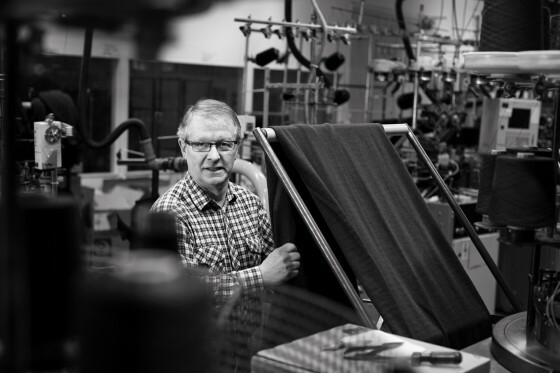 Developed in collaboration with Swedish military, scientists, doctors and survival experts the textile they came up with is highly wear resistant and consists of fine Merino wool, polyamide/polyester and air. Yes, air. Woolpower considers 80% of the material used in the garment to be air; due to the weave of the fabric that ensures the trapping of air between the skin and base layer - the more air trapped, the more heat your body can retain. Wool can also absorb moisture both between the fibres and inside of them, so it feels dry against the skin even when wet. The wool fibres can absorb up to 30% of their dry weight without feeling damp, while wicking away moisture from the skin at the same time. Wool is also naturally fire-retardant making it perfect to wear by the camp fire. Ideal to protect you from the elements.